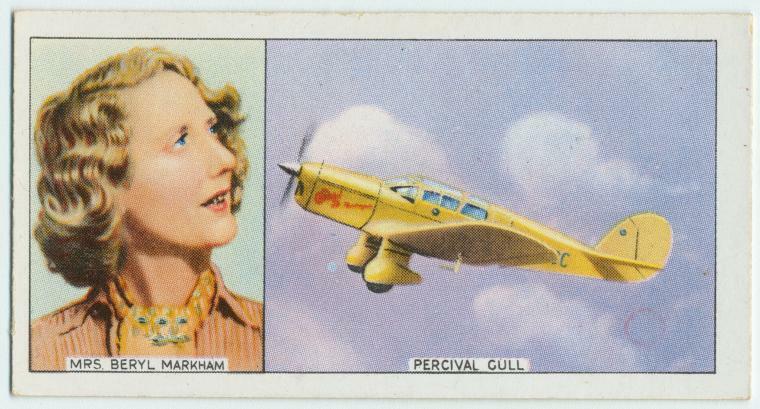 The marvellous accomplishments of Beryl Markham’s are manifold. Ernest Hemingway’s admiration of her memoir and disdain for her character, her possession of the first commercial pilot’s licence in Kenya, her being first female licenced horse trainer in Kenya, and her triumphant, difficult, pioneering flight against the prevailing winds from England to North America are amongst the sagas that render Markham an enthralling, awe-inspiring character. West with the Night (1943) is Markham’s memoir, however her third husband, a Hollywood ghostwriter, claimed it as his own work after their divorce. After falling out of print, the book was rediscovered thanks to a comment by Hemingway in his published letters and subsequently republished in 1983, drawing great critical attentions and topping bestseller lists. A decade later Markham’s first biographer, Errol Trzebinski, reinforced the claim. Hemingway seems astounded and almost a little gleeful that such an ‘unpleasant’ woman has turned out such a spectacular writer. The praise is gushing and the self-deprecation unusual in Hemingway’s discussion of another living writer. If Markham was not the sole mind involved in the creation of the work, then, and if she willingly deceived the press into believing the piece her work and her work only, an unfortunate rupture is created in her tale. A restaurateur named George Gutekunst was advised by Hemingway’s son to have a look at the father’s published letters, and from the above sought a copy of the memoir, which then shot to success with the quotation (sans insults) proudly on its blurb. It seems to me highly probable that Raoul Schumacher (the husband) did indeed string together the sentences that form Markham’s book, yet it also seems to me that this creates yet another facet of fascination with the now deceased Markham, and that it is more interesting to imagine the apparently unpleasant, demanding and selfish character sitting down with her husband to compose a book. According to a 1987 biography, Straight on Till Morning, by British writer, Mary S. Lovell, she was as ‘promiscuous as an Able Seaman on shore leave.’ ..or as a paragon of female freedom, her infidelities and solo successes celebrated as a woman against men. Markham’s accomplishments and personality, then, are continually analysed through her femininity. 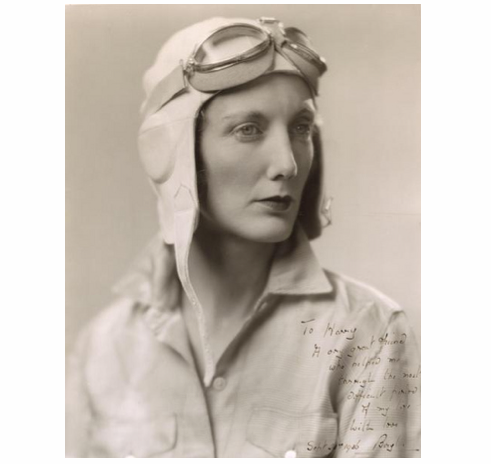 It seems a shame, as almost any post that you can find about her will state, that her figure has become marginalised in aviation history and it also appears that this is through the difficulty of defining her as exemplary in either a positive or negative light. Her life was full and extreme. She had many lovers and three marriages, the first at age sixteen. 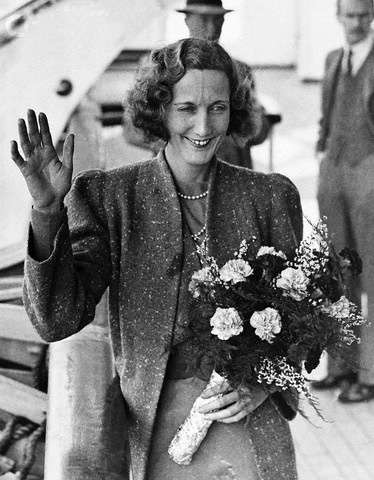 Her transatlantic flight was a result of a dinner party chat whilst Markham had no plane; another guest offered her one of his, on the condition that she made this journey and she promptly obliged. When she emerged from the feat she was an acclaimed hero, despite landing in a bog rather than New York City, and despite being mapless and radio-less in a near-failing plane. In her jobs, both equine and aviatory, she was always a world-class, record-breaking pioneer. To me it is these parallel successes that are the most phenomenal thing about Markham, and the fact that she was a tempestuous woman, whether likeable or not, is merely a fabulous narrative framework within which to situate these achievements. The authorship controversy, too, is fascinating yet seems to have been detrimental to Markham’s image and renown rather than a part of these. If Schumacher wrote the book the narrative perspective is nonetheless so utterly and entirely Markham’s that she desired to proclaim the text her own. Now, autobiographies can ever-increasingly be assumed to be the work of ghostwriters, and that Markham’s ghostwriter was her own husband surely situates the text more intimately with her self and makes it all the more intriguing as a historical document. In terms of content it seems that Markham made omissions in order to exaggerate her accomplishments (for example neglecting to mention the siblings that shared her wild childhood) but it has never been argued that the exploits that are detailed contain untruths. My contention is that the relatively minor place of the autobiography in literary history is a similar case to Markham’s marginalisation in aviator history. Both are slightly too vastly full of possibility and excitement, and no work has ever been done which thoroughly and fairly situates them. Nonetheless I suspect that the fact that the brilliance of both the book and the woman have been unable historically to speak for themselves remains unfortunately due largely to the gendered approach that people have taken to both. site unintentionally, and I’m surprised why this accident didn’t happened earlier! Your seeming acceptance of the idea that Markham’s husband, rather than Markham, wrote “West With the Night” is based purely on heresay … the disgruntled husband’s claim vs. any real proof. Even if he was involved – more probably as an editor than a ghostwriter – virtually all published authors have relied (and some, like Thomas Wolfe or Harper Lee, to name but two, have relied very heavily) on skilled editors to pull their works together prior to publication. Your reiteration of criticisms of her without reliable sources or references does this remarkable woman an injustice. 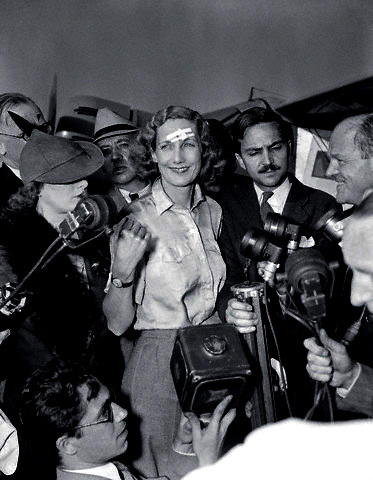 It’s my gut feeling that Beryl Markham wrote her own work, and it needed editing like any writer’s work would!! I’ve always admired Markham for her accomplishments. I believe she wouldn’t have been so harshly criticized if she had been a man! Unfortunately, women are always judged and interpreted through the “femininity” and “gender” lenses. Markham was an extraordinary person – her strong will, determination and amazing bravery are impressive. There is more proof that she wrote it herself than than there is that she didn’t. The work is, stylistically, a rare literary gem …Hemingway’s comments carry a great deal of respect!